Since Christmas is over I decided to update the blog once again. I get bored easily if you haven't noticed! LOL. 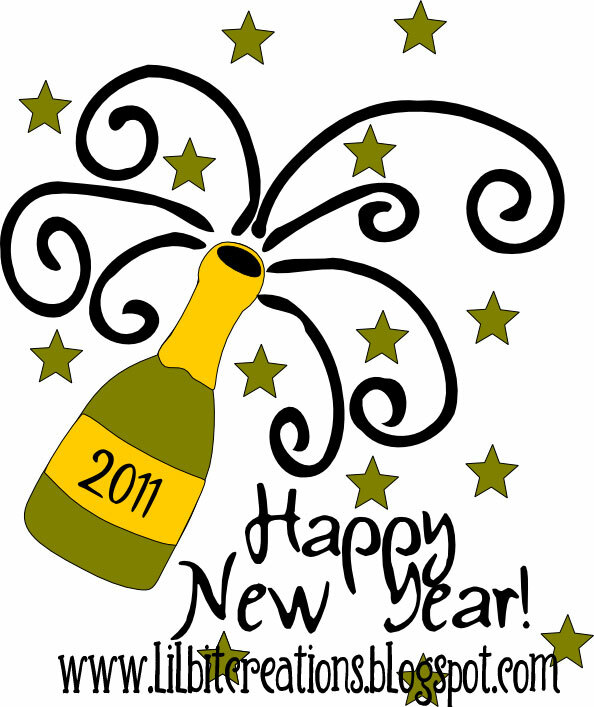 The new year is fast approaching so I thought I would share this file in celebration of the upcoming year. Hope you all had a very Merry Christmas and have an even happier New Year!! 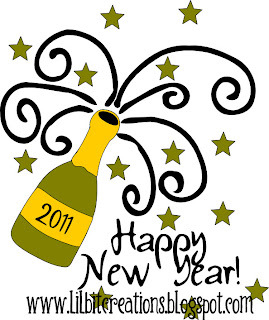 The zip file attached includes the watermark free png, svg, mtc and jpg. I altered this clock for two challenges. The first challenge was the Make-the-Cut Christmas Cybercrop and the second is the Papercraft Star Green challenge. I used DCWV Handmade Christmas Stack. I just loved the birds in this coordinating paper so I cut out a tiny one to put on the the seconds hand. 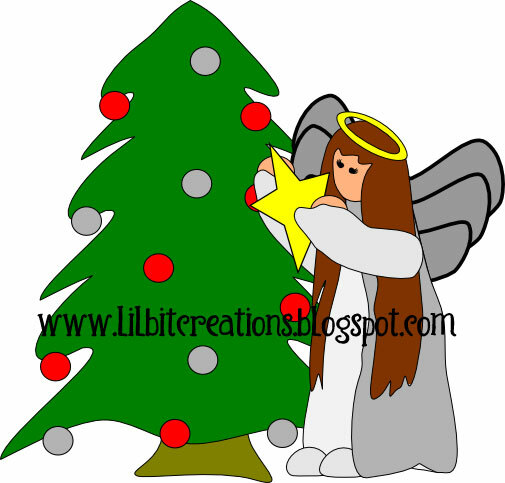 The holly is a free file I found from Miss Vickie's Cutting Crazy Blog. It is from a collection she did. To check out this collection click the following link: Miss Vickies Christmas Collection. I really liked the way it turned out and it is now hanging in my kitchen. Thanks so much for stopping by and ENJOY!! Another free angel for you. 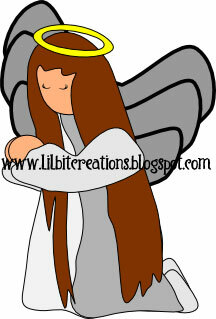 To celebrate the real reason for the season, I created an angel in prayer. I love this one. I will definately be using all of my angels on my layouts after Christmas this year. The zip file contains the watermark free png, svg, and mtc file. As promised, another angel. Hope to use this one soon on some tree ornaments I've been wanting to make...if I get time before Christmas actually gets here. On the last angel I did, I found that you must know your cutter very well to cut the eyes. 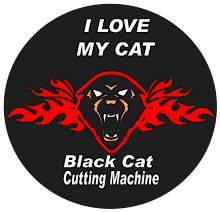 I had to change settings a couple of times on my cricut. So, on this angel I left the eyes as their own layer and you can choose to cut them or draw them on. I cut them because I do not draw and I was afraid I would ruin my whole angel with some crazy, goofy eyes. Also there are stamps that can be used if you're into stamping. The zip file contains the watermark free png, svg and the mtc files. Yay...another award!! I received this one from Linda from "Ladybug Lair". You should definately go visit her blog. She shares her work and inspiration and hey....if you're anything like me you need some inspiration from time to time. Ok, on the official stuff. To receive this award, I have to list 3 things that give me "tude" from everyone else. 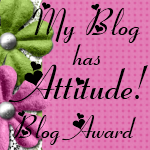 Then, nominate 5 other blogs that I believe also have attitude! Lastly post the award on my blog. 1. I am married to a Marine and believe me, you have to have MORE "tude" than a Marine to be married to one!! 2. Mess with me while I'm scrapping or making files and you will face the consequeces....just ask my kids.. just kidding..LOL. 3. I am brutally honest, which gets me in trouble sometimes. 1. Cely @ Creating in Carolina. Love it when others share their work and Cely is very giving and talented. 2. Pinky @ Much Ado About Nothing. Her work is way cool and she has lots of giveaways! 3. Paper, Scissors, Ink. She shares her files for a limited time and also shares some pretty cool projects. 4. Penny @ Penny Duncan Creations. She shares unbelievable files and is an amazing crafter!! 5. Amber @ Staying Crafty. She makes some awesome projects, one being a working gumball machine card...too cool!! Please give these talented ladies a visit. You'll be inspired, I promise! when I'm sleeping...LOL. Here's another freebie for your Christmas projects. 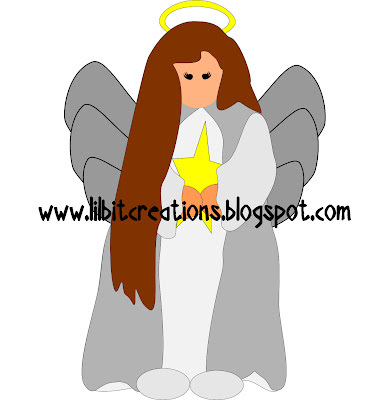 I will be making more of these Angels in different poses, like I did the Santas, so stop back often to check for new ones. The zip file includes the watermark free png, mtc (for 3.0), and the svg of course! Hope you like! ENJOY! !